6 Should I use webmail or a client? Most e-mail programs have many features in common. Once you know one program, you can easily use others. Launching your e-mail program is usually as simple as clicking the e-mail icon on your desktop or home screen. Write a message by clicking the Compose Mail, New Message or similar button. Type the e-mail addresses of the recipients in the To field, or use the address book–a handy feature of your e-mail program that stores frequently used addresses–to select one or more e-mail addresses. In the CC field, enter the address of anyone you want to receive a copy of the message. Type the e-mail address or choose it from your address book. Now type your message. You can edit it as you would a word processing document. You can also copy text from another message or document and paste it into the message box. Finally, click the Send button. Enable your spellchecker program to run before the message goes off into cyber space. Most e-mail programs, particularly those designed for desktop and laptop computers, have complicated menus filled with seemingly endless options. Most of us will never use the majority of those options. For basic writing and sending e-mails, the above steps are all you need to know. Reply and Reply All can be used to send a response to an e-mail you receive. Reply responds only to the original sender. Reply All allows responds to everyone addressed in the original e-mail. Be careful not to mix these up! If you want to send a message to someone else, you can use the Forward button. Forward will copy the original message, along with any attachments, and send them to whatever address you specify using the To field or your address book. If you are sending a very important message, click the High Importance When your recipient views their messages, yours will be flagged as important, letting them know to open it right away. Hyperlinks allow you to attached a link to a website. Most e-mail clients will automatically add a hyperlink when you type a website address. Other times, you may need to add it manually by clicking the hyperlink icon (it usually looks like chain links). If you need to add special fonts or adjust how your text is displayed, you can change your formatting to HTML, Plain Text, or Rich Text. Most e-mail clients default to HTML style. In some cases, particularly if you want to minimize the size of your message, it may be necessary to choose Plain Text mode, which removes all special formatting. Signatures allow you to create a reusable closing for your e-mails. You can use these to add information about yourself or your business, which will automatically appear at the end of each e-mail you write. If you are going to be away and won’t be able to respond to e-mails in a timely manner, most e-mail programs allow you to set up an auto-response message, usually called an out-of-office message or vacation responder. Think of these as an answering machine message for your e-mail. Anytime someone e-mails you during the time period you specify, they will get an immediate response letting them know you’re away. Having an E-mail account is essential for communication of any purpose. For people who rely on e-mail for business or other important matters, being able to access an account from anywhere is extremely useful. Webmail is a solution that allows for e-mail to be checked from anywhere, at any time, on any device, without special configuration. All it requires is access to the internet and a capable web browser. You simply go to a certain web-site, log in with your username and password, and then read your email in your web browser. There are effectively three primary ways that people interact with e-mail. Think of it this way, an “E-mail Client” is like a mailbox. It is always in the same place, you have to visit the mailbox in order to send or receive mail. You can set up two mailboxes in different places if you'd like, and the post office will copy your letters for you and send to each mailbox. However, you still must always open the mailbox, no matter where you are. 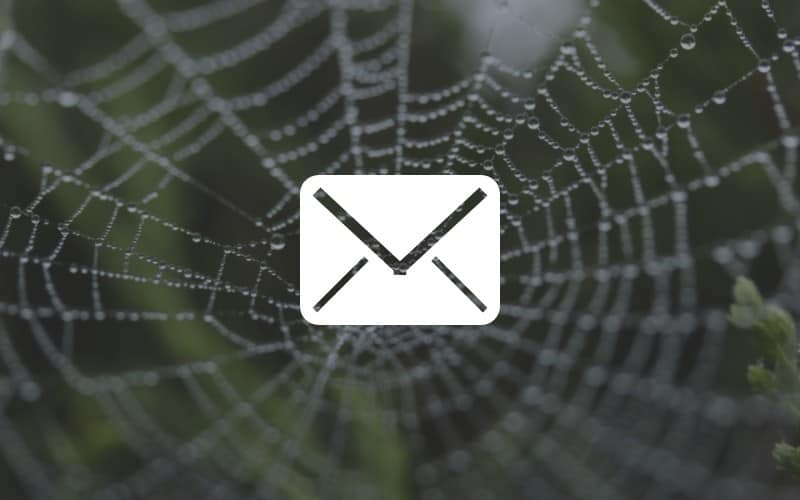 With webmail, it's like you have a personal assistant who has a phone line to the post office. Your personal assistant has all of your mail and receives a phone call every few minutes with a status update about whether there is any new mail or not. When new mail arrives, they go and retrieve it for you immediately and come right back. If you want to check your mail, you only need to ask your personal assistant. However, if your assistant is taking a break (internet outage) you are unable to read your e-mail. The assistant follows you wherever you are, you don't need to build any more new mailboxes. The advantage of webmail is that you can use it anywhere with just a web browser & zero software setup. The disadvantage is that you can only read your mail if you have an internet connection. With a client application, the e-mail is downloaded to your computer. With webmail, the message is only temporarily downloaded when you open the message and disappears when you close the website. Setting up an account is generally very easy. Since you typically take on the domain of the provider you are signing up for, it's simply a matter of picking a username that no one else has and inventing a secure password. Sometimes other information will be asked for, but usually it's just your personal name. Some providers will ask for a mobile number as well, which can be used to validate your account. Security is important with webmail since anyone with your username and password could log in. When picking your password, remember that the longest passwords are the most secure. Adding numbers and punctuation marks (! @#$) can help out, but replacing letters that look like those symbols won't fool hackers. For example, the password “L@$TR3SORT” only has 10 characters to guess, and substituting @ for A is well known. Random words & phrases have a lot more value. “PotatoShark6!TotalBucket” has a combination of lower and upper case, a number, punctuation marks, 24 characters, and is also is a LOT easier to remember. You can actually use webmail for your own domain. So You@yourwebsite.com could be accessed through webmail. There is usually a default webmail service, but sometimes a paid service is available through Google or Microsoft. For just an individual though, this tends to be less than $10/month. Setting up Webmail for your website or business can be fairly complex and requires advanced knowledge about how to point your domain records. If that sounds daunting, asking your domain name provider for help if possible. Many internet service providers have the option for webmail. For example, users of Comcast can access their comcast.net e-mail account through webmail. However, depending on which provider you are using, webmail might or might not be setup. Usually, it can be found on the homepage of the internet service provider itself. If it's not readily apparent, you can always call and ask if they have it, or how to use it. Other big providers are internet companies. Google has “Gmail,” Microsoft has Outlook.com, Apple has iCloud, and Yahoo! has Yahoo Mail. Those services are very powerful platforms, and each one comes with more than just e-mail. Google's Gmail has Google Apps, and Outlook.com has Office 365. Those services allow for document management, spreadsheets, and powerpoint presentations all through your web browser. You also can save photos to those services, as well as save any other files, up to a certain (but very high) limit. Some even come with built-in instant messaging for real-time communication with multiple people at once. One thing to be aware of is that you don't have absolute privacy on those company services. While other users cannot read your messages, the companies that run those services will. By monitoring the contents of your e-mails, they determine what they are going to advertise to you, and might sell your data to other parties. Additionally, any e-mail that passes through servers physically residing in the United States will be processed by American intelligence agencies through security ‘backdoors.' This is a painless, automatic process that will not be noticed, but as a consumer, you should be aware that it happens when using these services. The webmail provider Lavabit elected to close its business because of this process. Gmail, from the folks at Google. Outlook, from Microsoft. Formerly known as Hotmail. Mail.com, which offers a choice of addresses, such as europe.com and doctor.com. Yahoo! Mail, from the popular Web portal. Should I use webmail or a client? Webmail is great for anyone who uses two or more computers on a regular basis and needs to have the same content on both computers. Anyone that owns a tablet, or wants to access their home e-mail from two locations easily, should strongly consider webmail. As the internet has been made more widely available and faster for everyone, webmail and web applications have become more popular. With zero installation required, it's a far easier platform to use, and a lot more reliable when delivering messages. Many people just have two or more e-mail accounts. A work e-mail generally runs as a client application, while personal e-mails are webmail based. This is not universally true, but it is fairly common. Experiment for yourself and figure out which is the most convenient, every person has different communication needs.